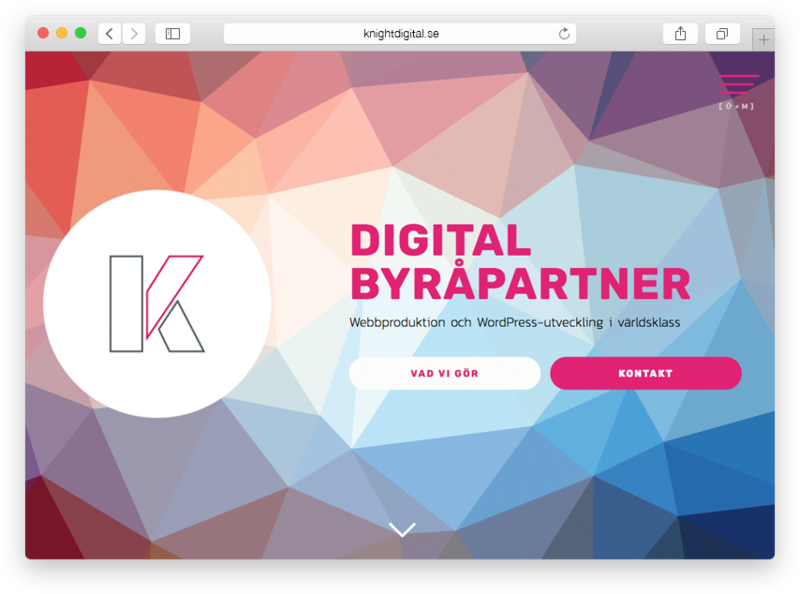 Knight Digital are a web-development agency based in Stockholm, SE. Founded in 2015, they cater to a variety of customers specialising in WordPress. We managed to find some time between handling projects and bedazzling clients (on yeah… we’re that good at KD) to give our landing-page a sprucing up. Keeping things around the main branding, we came up with this eye-catching design.